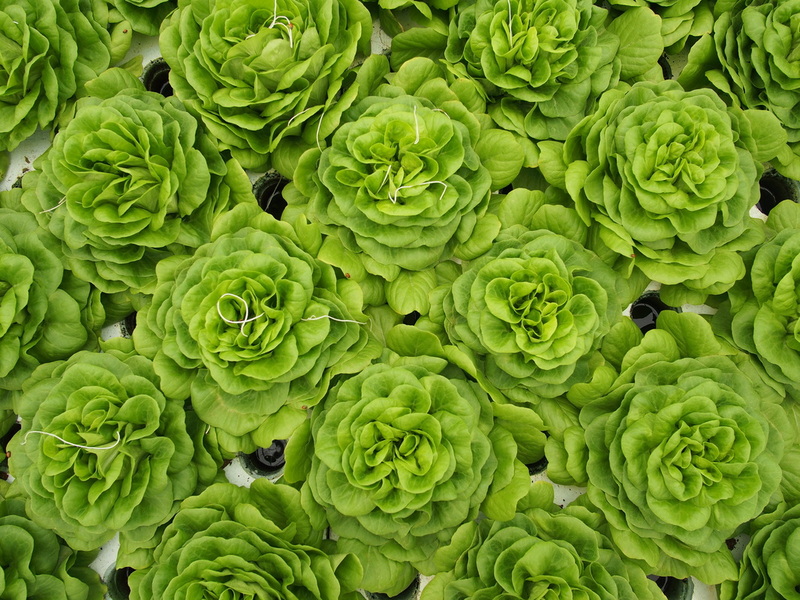 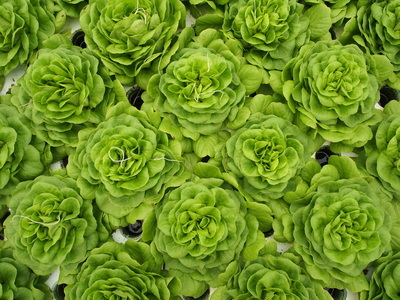 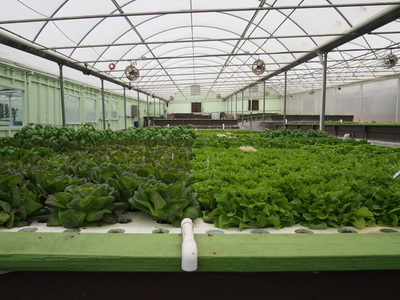 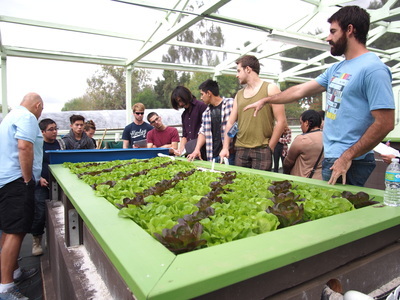 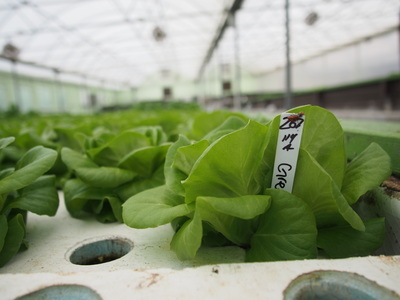 Aquaponics is a form of farming that combines aquaculture and hydroponics. 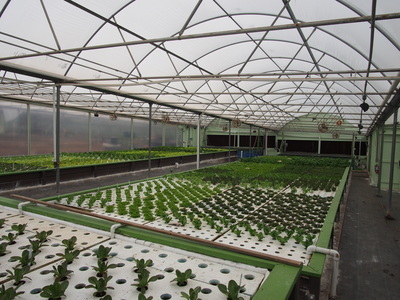 Aquaculture is the farming of fish and hydroponics is a technique for growing plants in a soil-less media. 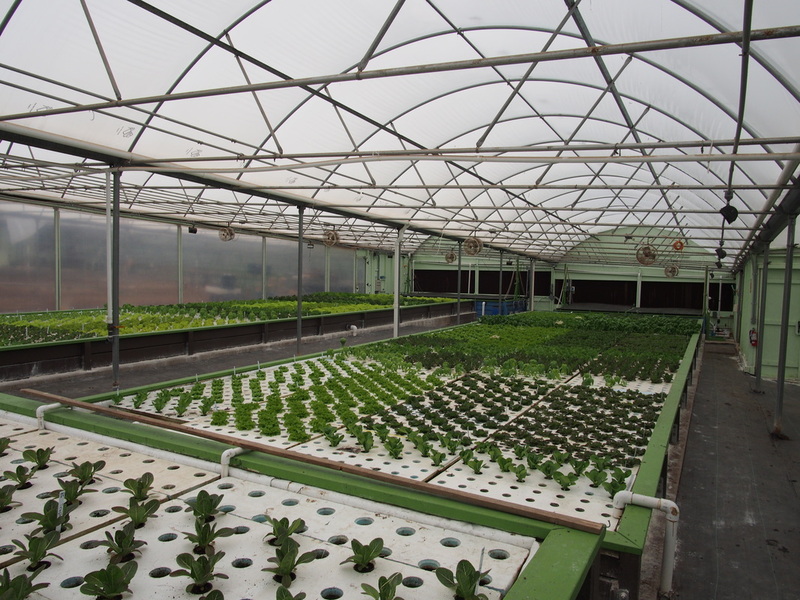 When combined, aquaculture and hydroponics form a natural balance. 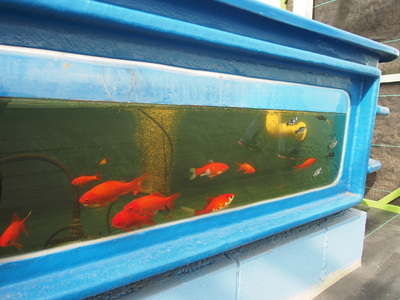 Fish are raised in large tanks; the water from the tanks is pumped to the soil-less "grow beds"; the plants use the fish waste as nutrients, cleaning the water in the process; lastly, the water is sent back to the fish tanks. 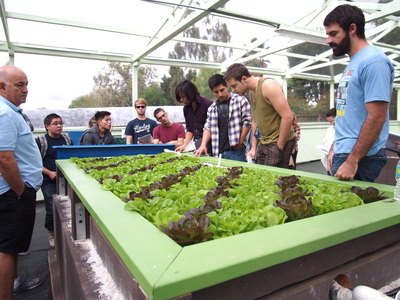 Aquaponics systems become a self regulating ecosystem. 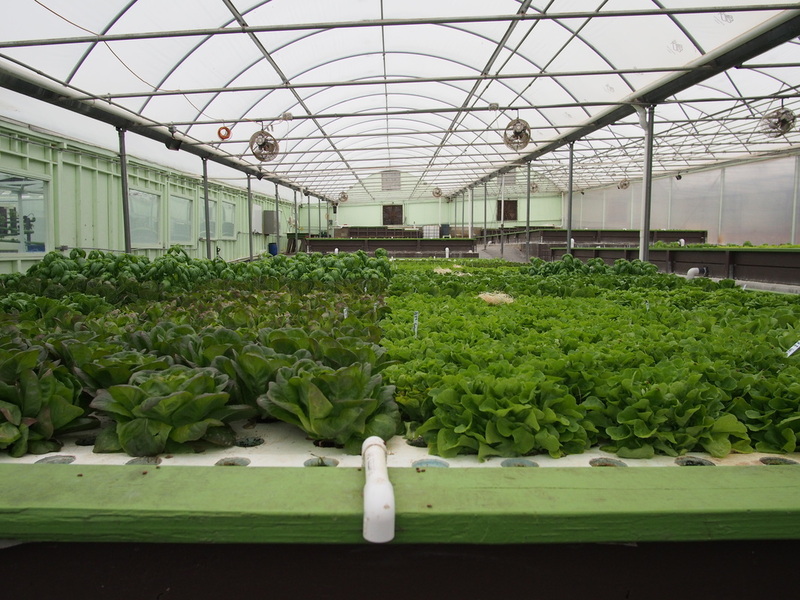 This form of farming uses just a fraction of the water compared to traditional farming. 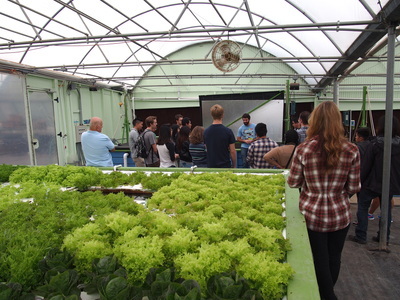 Solutions Farms, a branch off its parent company, Solutions For Change, is a commercial size aquaponics farm located in Vista, California. 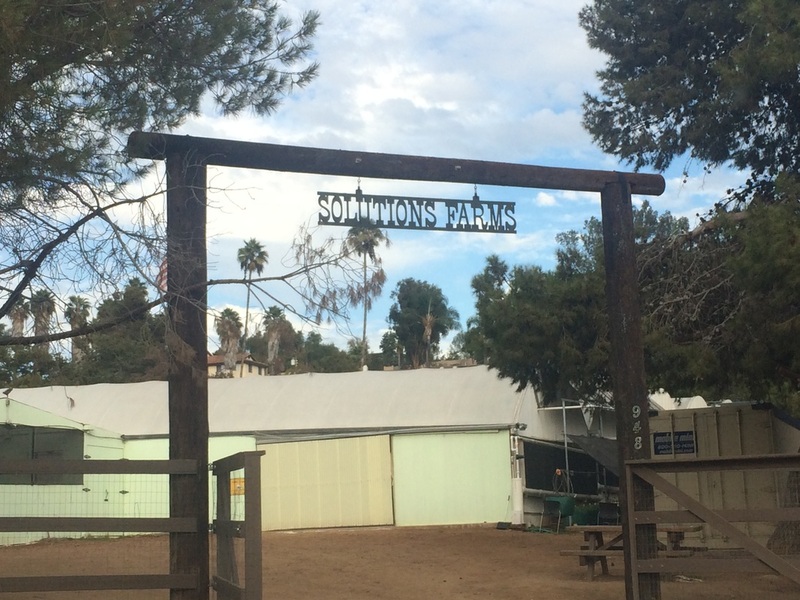 The farm is operated by Kevin Gorham, who has been the main point of contact and compass for our ESW team. Solutions For Change is a non-profit with an amazing goal of solving family homelessness. 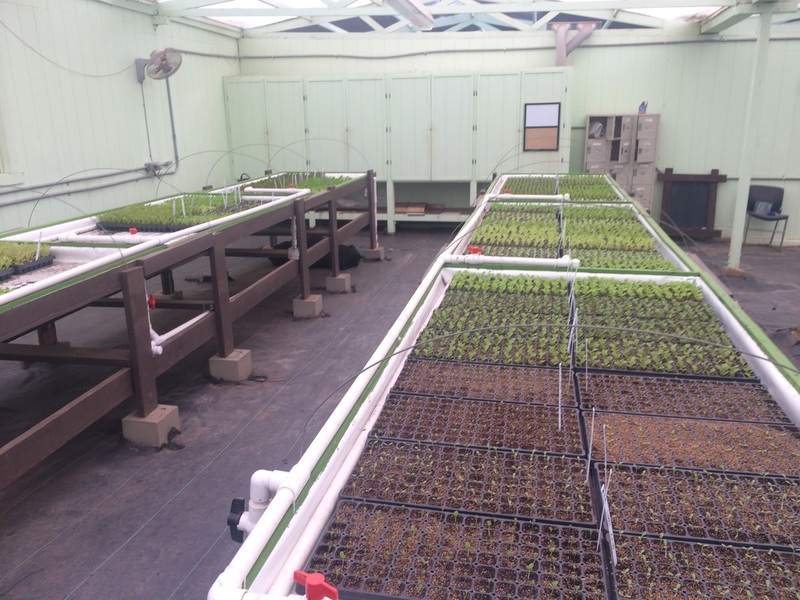 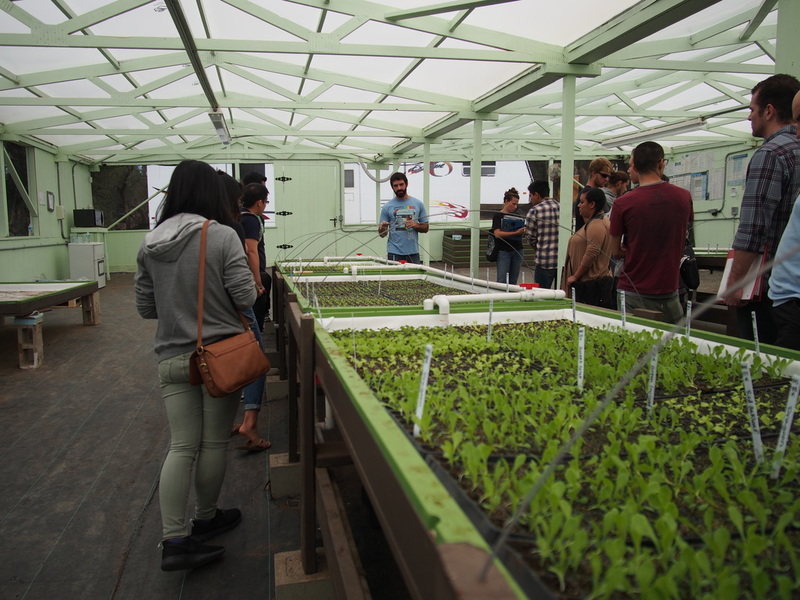 The aquaponics farm plays a part in their plan by being a work training facility for homeless parents. 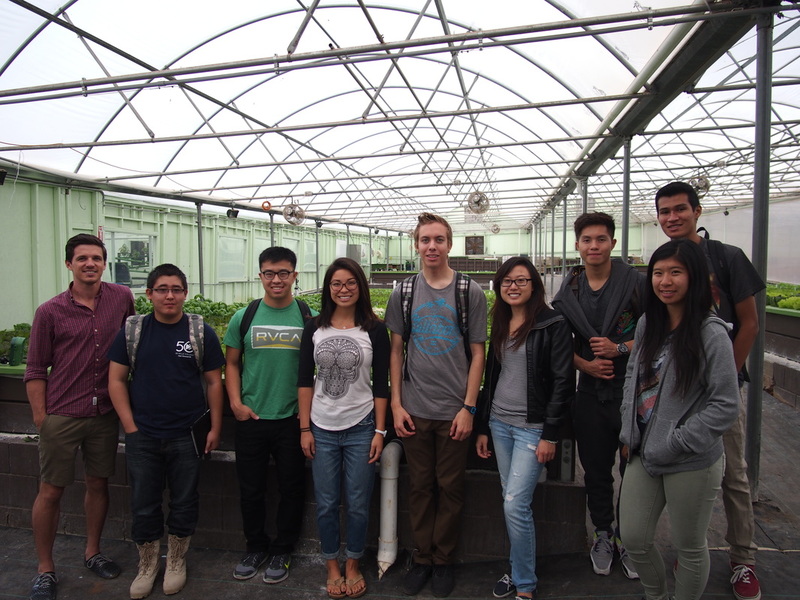 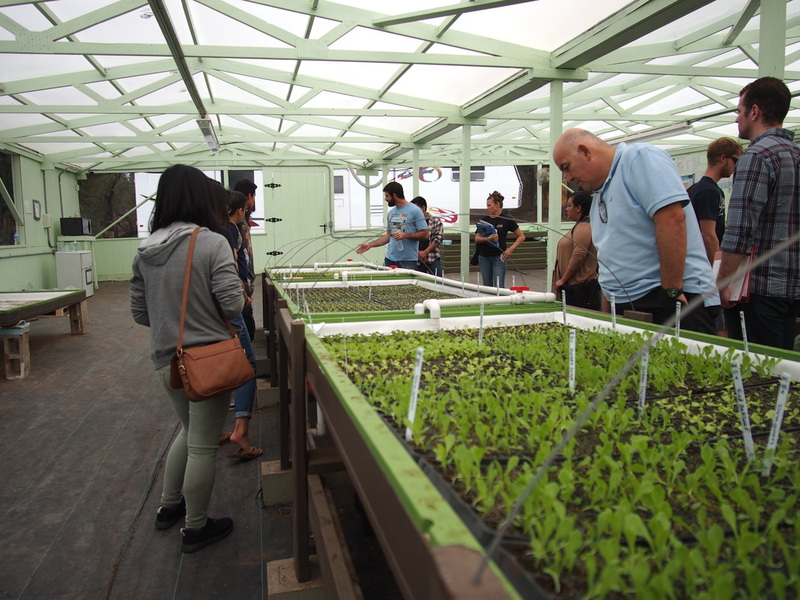 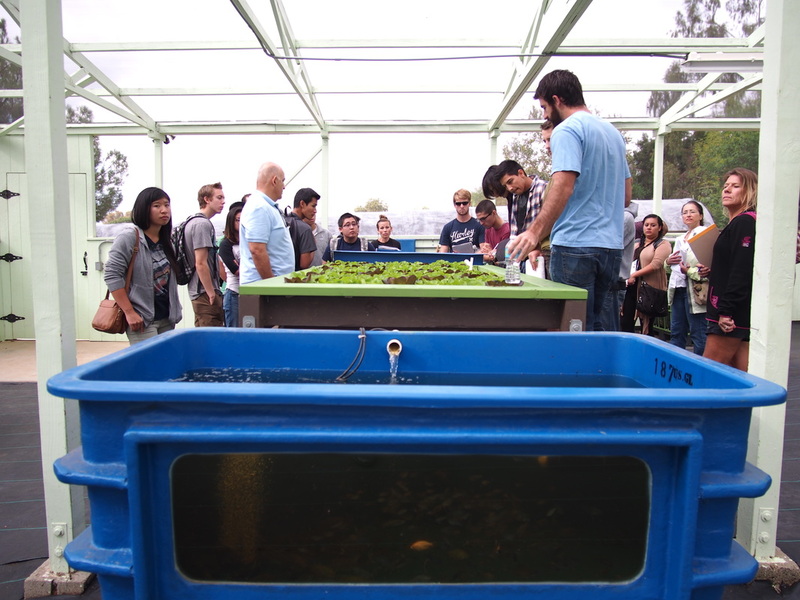 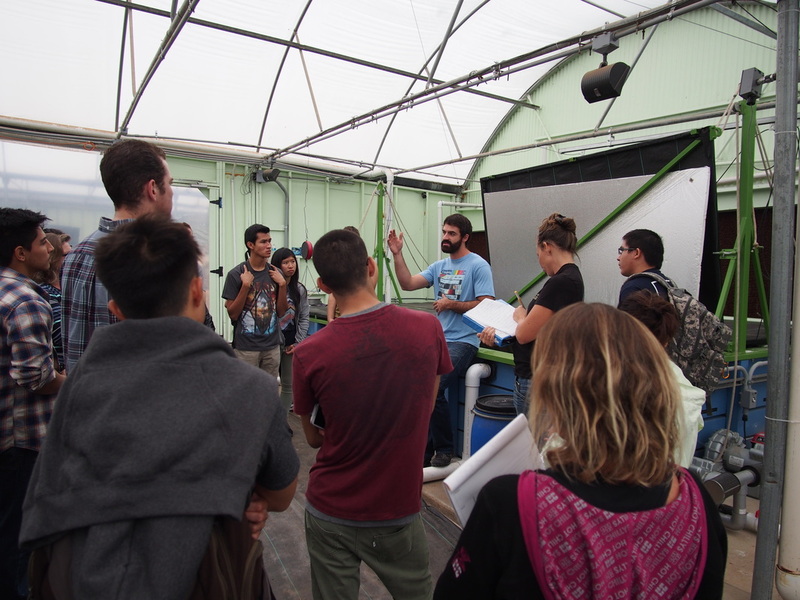 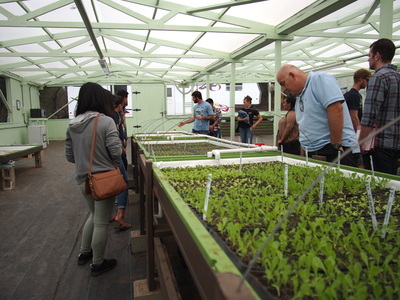 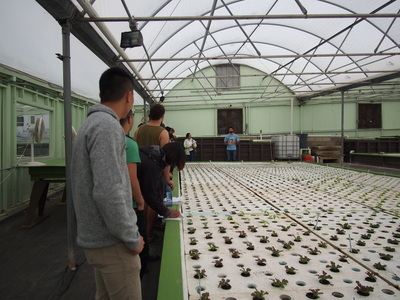 As far as the aquaponics system goes, the farm uses tilapia as their fish and sells all of its vegetable crops to the Vista Unified School District. 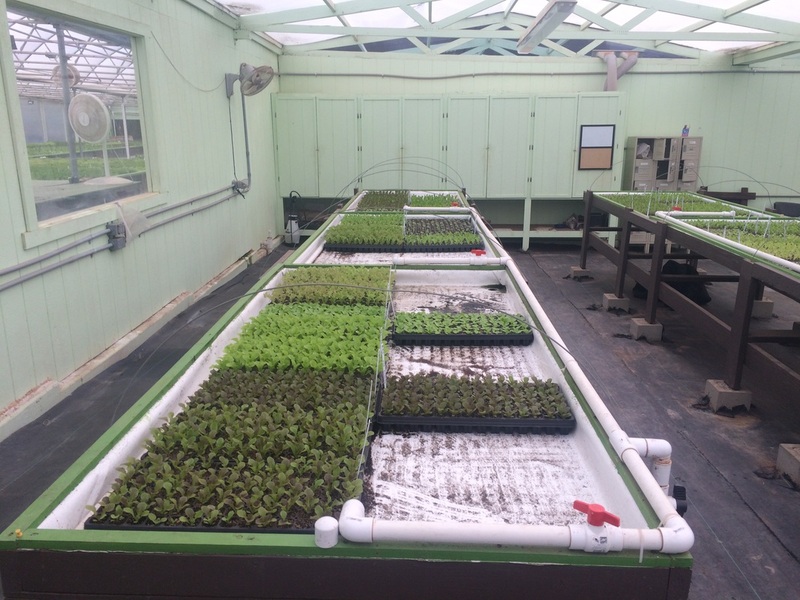 Soon the farm will be tripling in size and that is where our ESW team comes in to play. 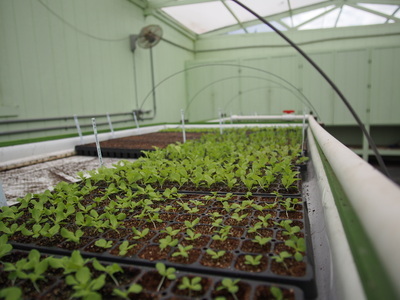 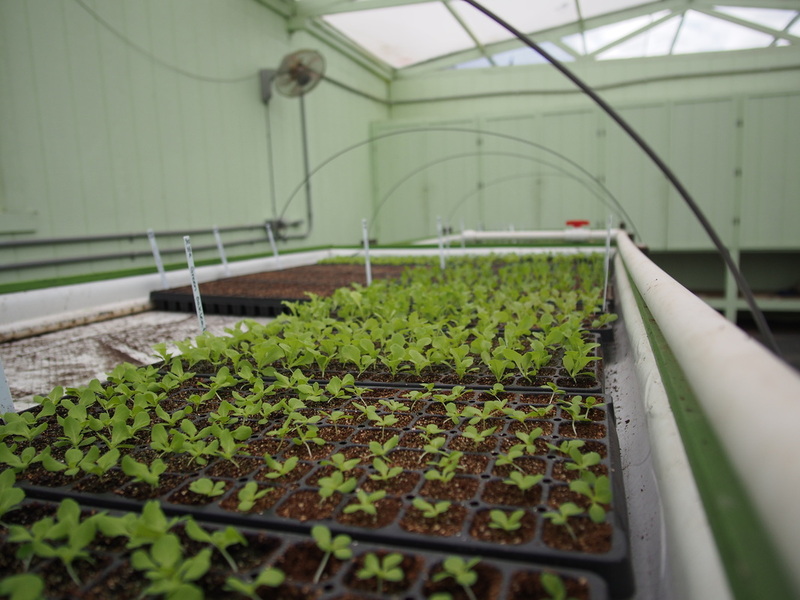 The beginning of every crops life at Solutions Farms starts in the nursery. When the whole farm triples in size in the upcoming expansion, the nursery needs to triple as well. 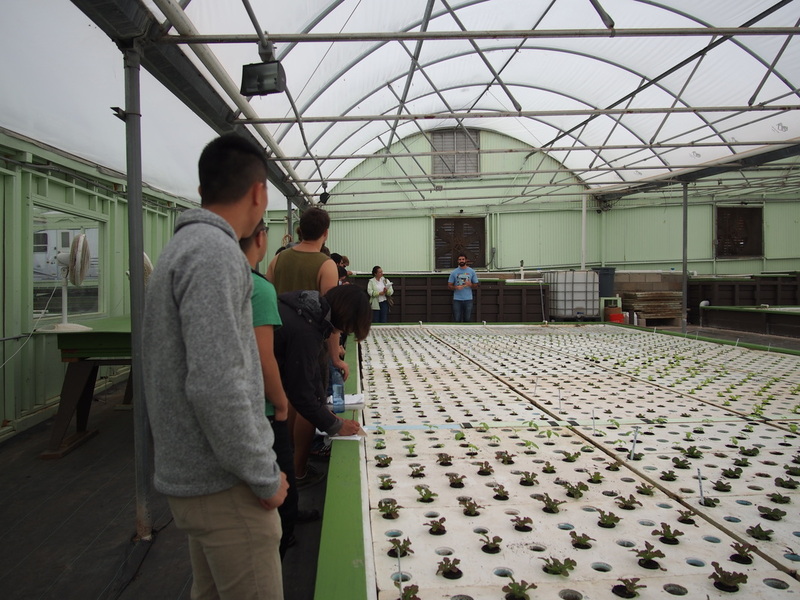 Our team has taken on the challenge of designing a multilevel nursery; going vertical is the most efficient use of the the farm's floor space. 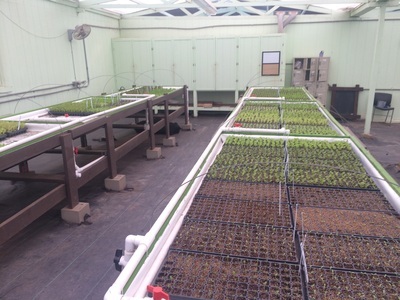 A multilevel nursery will require a new plumbing strategy (so water can reach each level), artificial lighting (for plants not on the top level receiving natural light), and a lifting/lowering system (for workers to easily access each level). 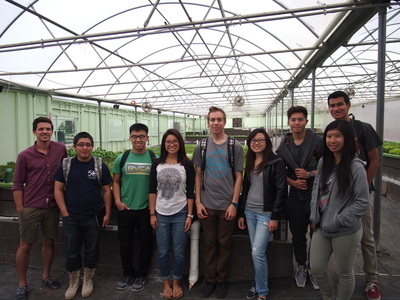 Our team has been hard at work and is approaching a final design.